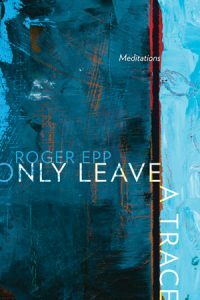 Only Leave a Trace offers a series of thoughtful, poetic observations on Roger Epp’s career during a particular transitional episode at the University of Alberta. “This book of meditations,” the preface instructs, “is an unconventional artifact of my time as founding dean and head of the University of Alberta’s Augustana Campus.” In a more general way, the book may be viewed as portraying the universal experiences of those in the academic arena, their inner struggles and the internecine conflicts between professors and administrators, departments and divisions. The cap-and-gown set are so often expected to maintain postures of rationality and emotional detachment, that it becomes intriguing to follow the narrative line and learn of the fears and frustrations, the secret longings and the secret pain of academic life. The sense of propriety, poise and cool restraint offers a useful counterpoint to the institutional skirmishing and, it must be said, is a welcome contrast to the blaring, volatile exchanges that one encounters in tweets, in the all-caps-style of Internet debate and in the declamatory voices of televised news. There are moments when the writing feels a little too tightly restrained. Epp declines to name names, pursue conflict too explicitly or in any way implicate the reputations of his colleagues—and this is understandable. Nevertheless, the intimations one catches of those institutional complications and confrontations are tantalizing and add necessary tension to the text, and one wishes he had indulged his readers more and curbed himself a little less. 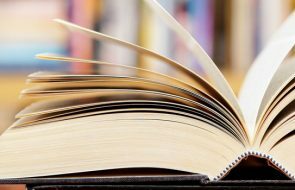 As well, the frame of the narrative becomes blurred when the text strays from a focus on academia, as when the writer describes moving out to the country and adapting to the complexities of country life. The reproductions of paintings by Rhonda Harder Epp, which introduce each chapter, offer a welcome visual complement. At less than 100 pages, Only Leave a Trace is a quick but compelling read that leaves one thinking about private life and professional ambition and the intersectional space between the two. —Clem Martini is a writer and the chair of Drama at U of C.